Warehouses and loading docks are exposed to some tough conditions. 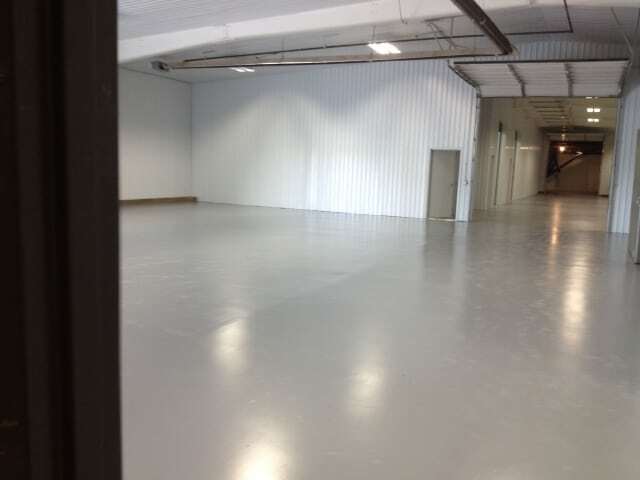 A warehouse floor coating system can repair issues such as dusting of bare concrete, cracks and joints. Often there is heavy traffic conditions. This can cause concrete spalls and breakage, potholes, low spots, etc. It will also wreak havoc on the wheels and suspensions on your material handling equipment. The repairs can run into the tens of thousands of dollars. 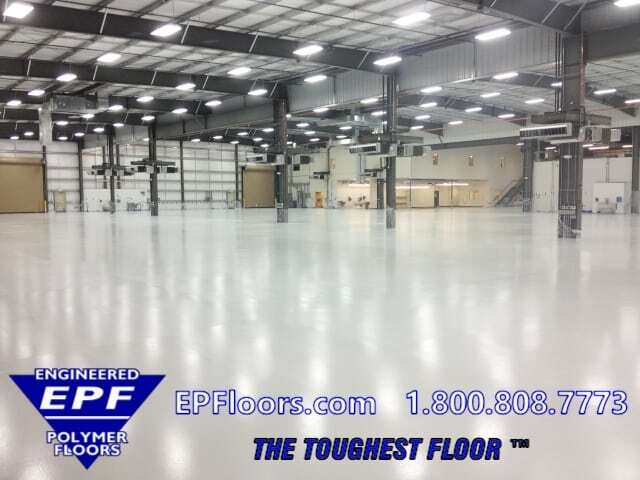 For over 30 years, EPF has provided warehouse floor solutions. 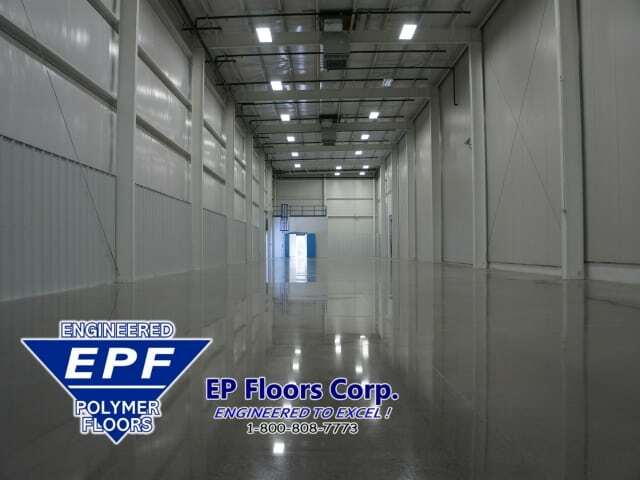 Our seamless epoxy and urethane floor coating systems have set the industry standard. We maintain quality by providing complete A-Z responsibility on your project. We offer expert warehouse floor consulting services. Finally, we provide manufacturing and installation of flooring, with our own company crews. 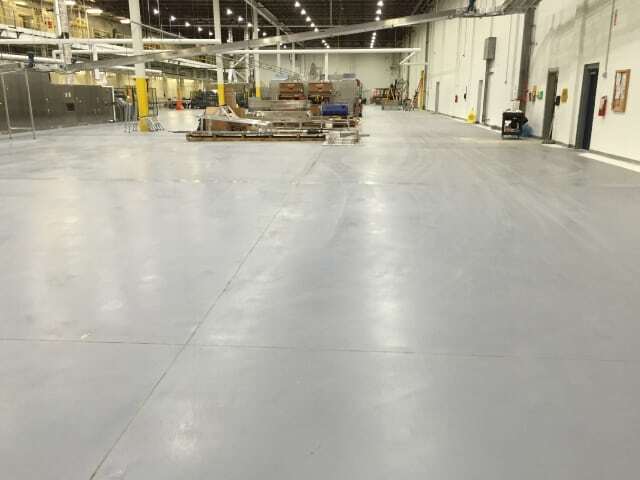 The ideal industrial flooring system for your warehouse will exhibit a level, seamless, durable, easy-to-clean finish. 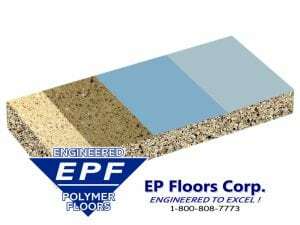 It will also provide a permanent solution for your facility flooring needs. 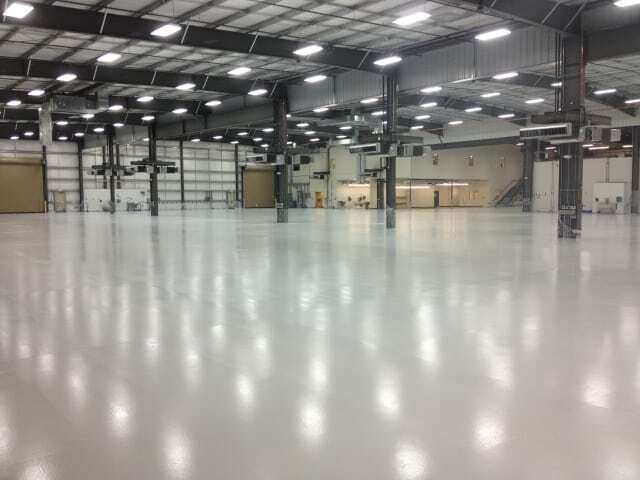 Epoxy and urethane flooring are often installed in these areas, due to their many benefits. 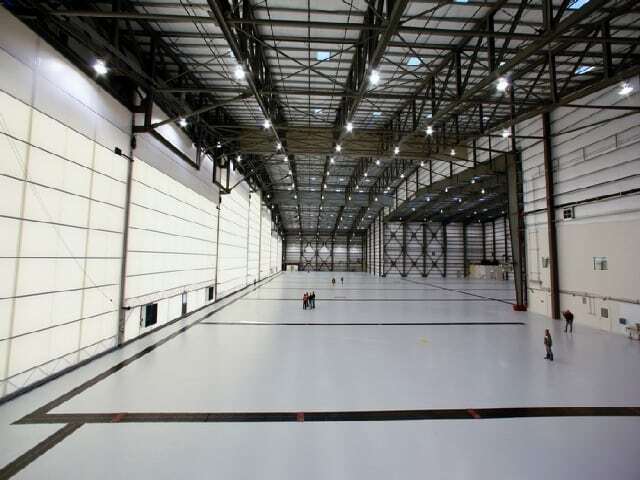 Epoxy floor coatings for warehouses come in many variations. Troweled 1/4 inch urethane mortar floors are the heaviest duty systems. These can withstand even the heaviest of vehicle usage. 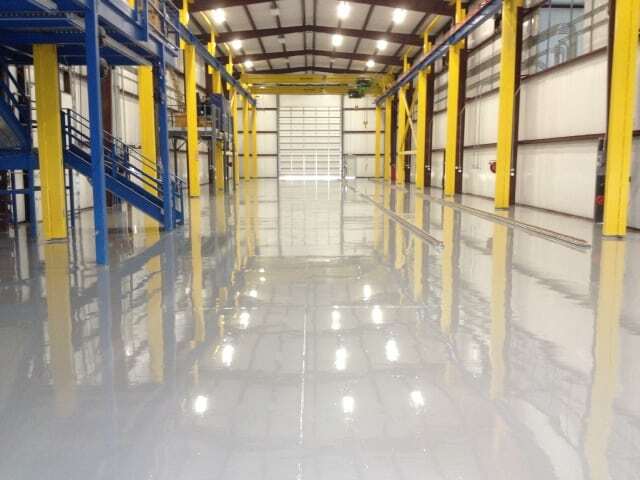 This flooring resists punishing loads from forklifts and other heavy warehouse equipment. For low to medium traffic warehouses, or shorter term applications (leased facilities, etc.) 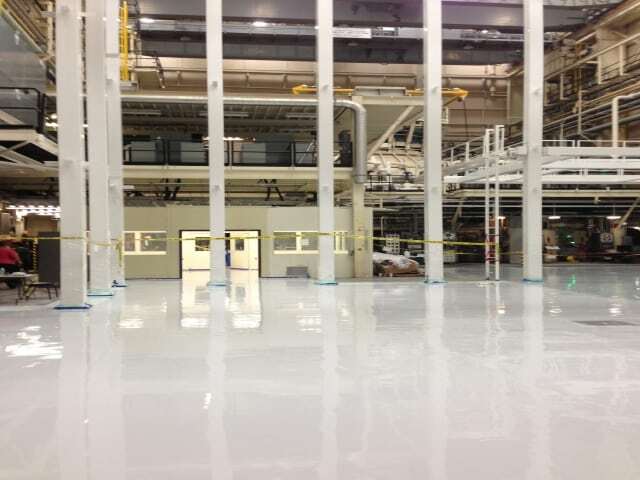 we install thin mil epoxy coating systems. These systems provide the same cleanable surface, dust proofing, and abrasion resistance as the urethane concrete mortars. However, they are not designed for heavy impact or scraping. These systems offer abrasion resistance for forklifts, pallet jacks and other heavy material handling equipment. The troweled 1/4 inch mortars also resist gouging, scraping and heavy impact. The flooring is chemical resistant, and able to handle elevated concrete moisture conditions. There may be aesthetic expectations of the facility. If visitors or corporate tours are expected, the floors must sparkle. This flooring has high aesthetics. It can also be returned to its initial luster, upon regular cleaning. Our coatings are able to withstand the rigors of that frequent cleaning without chipping, undo wear, fading or discoloration. Note: Some facilities use black tires on their material handling equipment. EPF recommends changing them to non-marking tires, or selection of a darker colored floor coating system. This shall keep the flooring looking new for years, and reduce cleaning costs. Our floor coating systems dust proof the concrete. This prevents cement dust from settling on products within the warehouse. 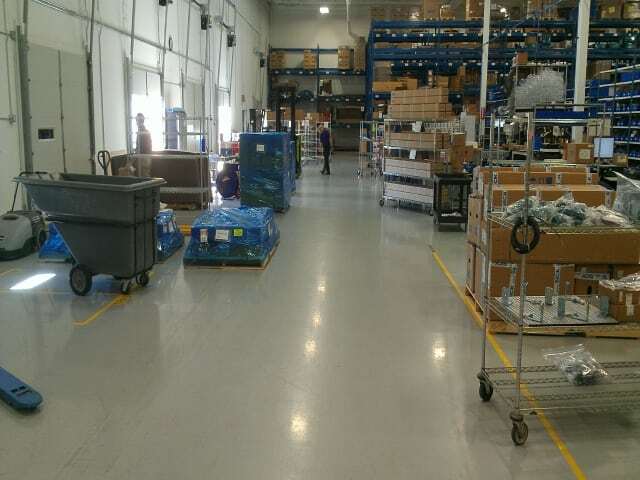 With our easy to clean floor surface, you will be able to keep your product clean, prior to shipping. Typically used where the concrete is not heavily worn or rough, and traffic conditions are low to medium. Our epoxy primer coat seals the concrete, and provides maximum adhesion. An optional epoxy mid coat builds further thickness. Finally, a polyurethane top coat is applied. This has a super cleanable surface. It features excellent gloss retention, light reflection, and also has excellent wear resistance. note: this system does not have good impact resistance, or resistance to scraping or gouging. 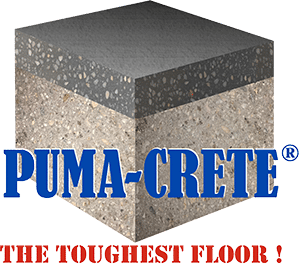 For this type of environment, or if concrete is heavily worn, our 1/4 inch Puma-Crete flooring is recommended. Puma-Crete is highly durable for heavy traffic conditions. It will provide decades of service. It can also restore a heavily damaged concrete floor to a smooth condition. It is tolerant to high concrete moisture conditions. 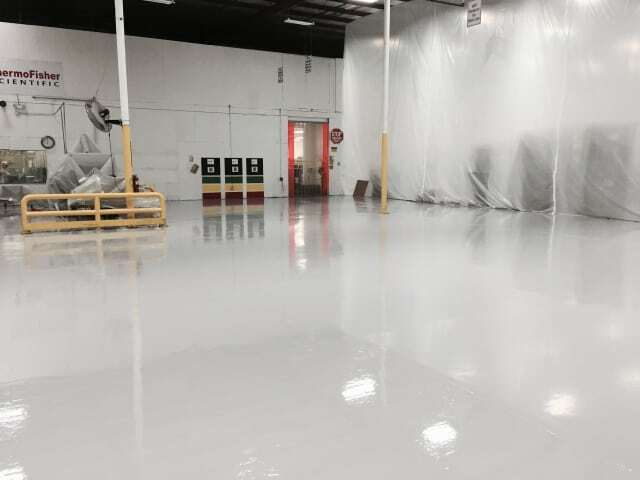 A polymeric coating system is typically applied over top. This provides maximum cleanability, gloss retention, and slip resistance. EPF provides expert installation with our own crews. Our turn key process includes materials, installation, and a solid warranty. Each project team consists of a project manager, site manager, team leader, and 6-12 flooring technicians. We have invested in over 1 million dollars in specialty prep and application equipment. This ensures that the project is done quickly and efficiently, with the least interruption in your business. Installations may be performing over weekends or off hours, if needed. 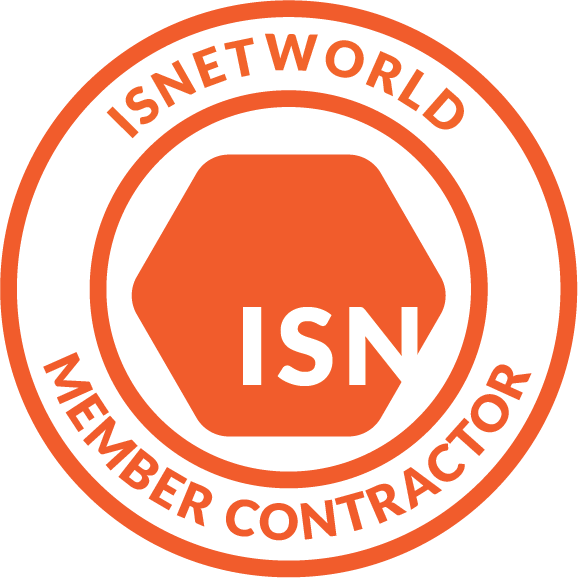 DIY- It is certainly possible to apply any coating using in-house personnel, this is not recommended unless they have extensive experience using the selected resin system. In the end, the premium spent on professional application will pay for itself in terms of coating longevity and performance. Many cheap do-it-yourself coatings are on available, which can be damaged, from using the wrong cleaning solution or floor polish, and can wreck an initially perfect finish. 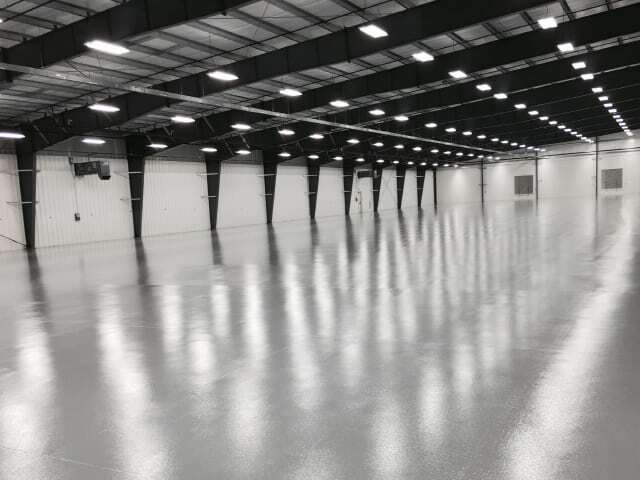 If sub standard coatings are installed, cleaning and scrubbing, power-sweeping, automated buffing, and similar procedures designed to keep the operation in top shape can damage the floor finish. 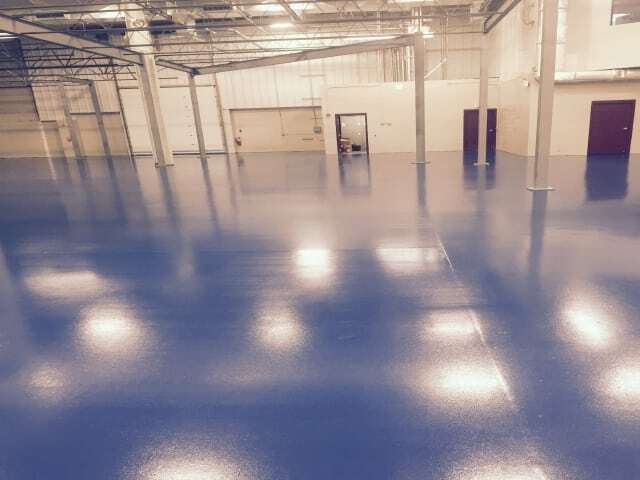 Our warehouse floor coatings retain their essential properties in the face of routine maintenance. 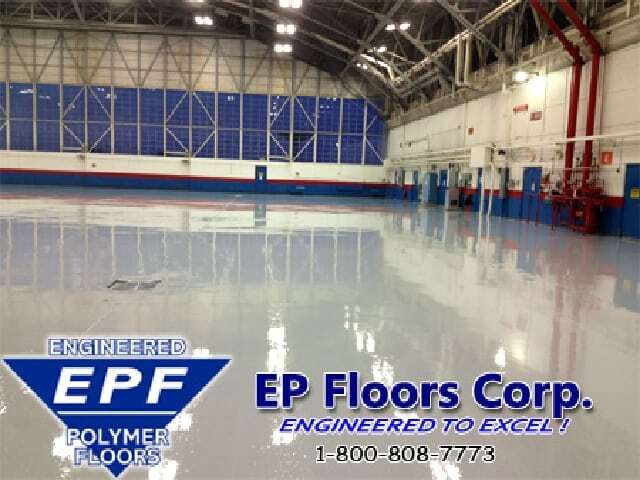 EPF’s floor coatings are specifically formulated to endure cleaning and scrubbing, power-sweeping, automated buffing. Fast turnaround is guaranteed !